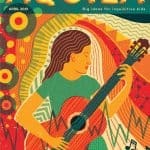 AQUILA Children’s Magazine is the ultimate intelligent read for inquisitive kids. 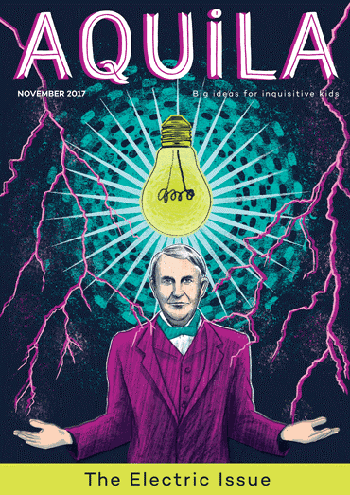 Full of exuberant articles and challenging puzzles that will get the whole family involved, every issue covers science, history and general knowledge. 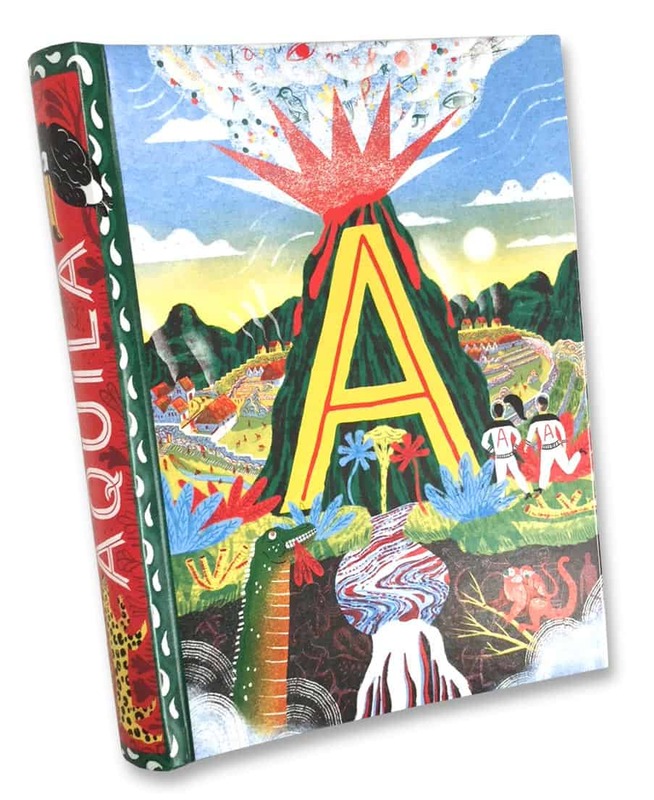 AQUILA is a quality production, beautifully illustrated throughout with contemporary artwork. Listening to music is really good for you: it uses every single part of your brain. Scientists have discovered that playing a musical instrument can even improve our vocabulary and reasoning skills. 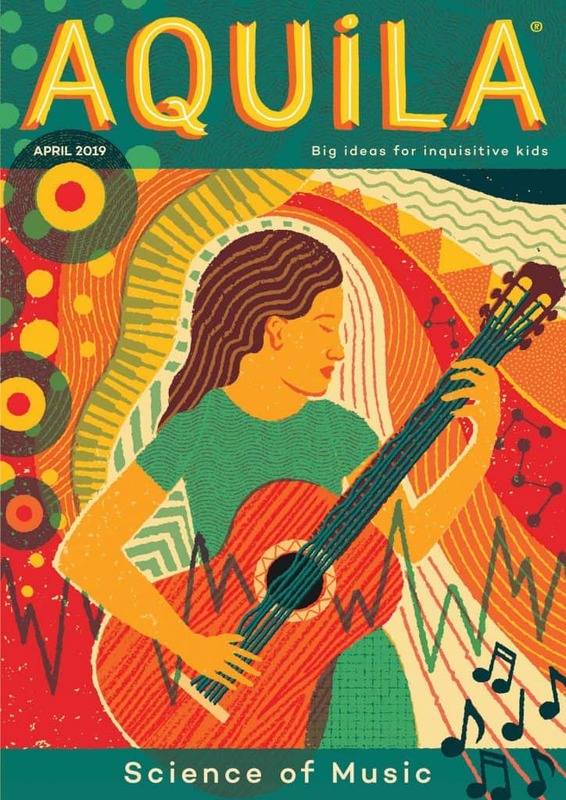 In this issue of AQUILA, children can read about the first known instrument – a 45,000 year-old flute crafted from a vulture’s wing-bone, have fun making a glass orchestra and find out why the first performance of Igor Stravinsky’s The Rite of Spring nearly caused a riot! PLUS: meet a Sea Shanty expert and investigate the mechanics of birdsong. Subscribe now and receive a welcome pack with your first copy. Children can fill in their own passport details in the fun puzzle book, and hunt down clues on the amazing illustrated wall map. Keep your AQUILA Mags tidy on the shelf! You can add this item to your order as you proceed to checkout. Here are some frequently asked questions – just click the title to read. How do I buy an AQUILA binder? To buy a single binder without a subscription, call our office on 01323 431313 to make a card payment. Overseas - how do I order? If you or the child live abroad it is not a problem, as AQUILA is posted to more than 100 countries worldwide including America, Australia & New Zealand. The magazine will go direct to the child in any country, and when the time comes for a renewal notice this will be sent to you wherever you may live. To order visit our subscription page, select your subscription length and enter the recipents address, the website will work out the correct price. Where can I buy it, I haven’t heard of it before? 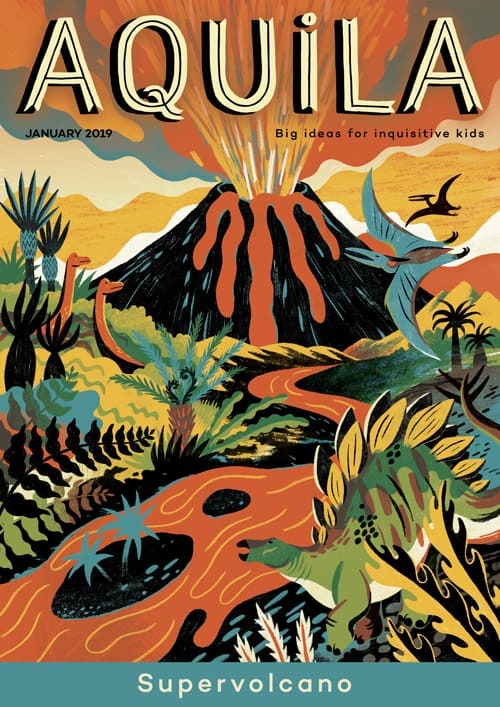 Buy AQUILA on this website, by phone (01323 431313 weekdays 9 – 4pm), or by mail order. 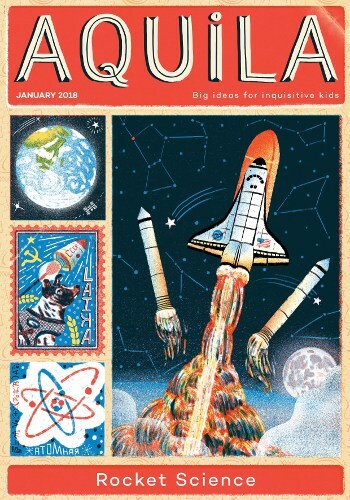 In 2017 AQUILA will have been in publication for 25 years, but it has never appeared in the newsstand or shops. We are subscription only. How do I order for a Birthday? You can place your order now on our subscribe page. For a Birthday, enter the child’s birthday date and a gift message. We will endeavour to get the first magazine to them just before their birthday, starting with the issue that is current with this date. Please phone us by 12pm, and we can usually dispatch UK orders 1st class the same day for an extra £1. For £7.50 we can send by special delivery to guarantee its arrival the next day. Can I just buy one copy? 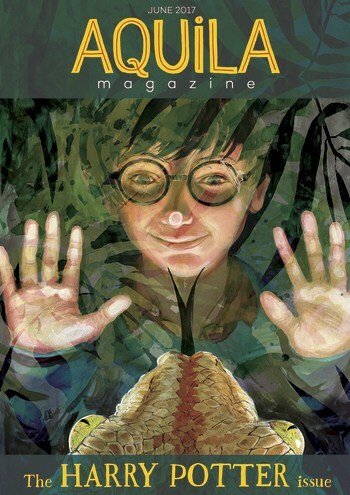 Yes, individual copies can be purchased from our back issues store or you can download a sample to view on this site. 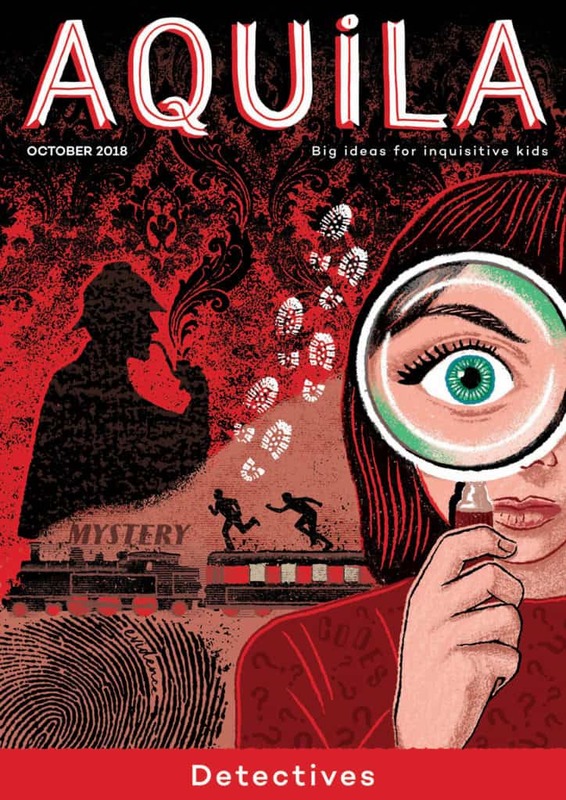 Once you buy any subscription you can then add any number of back-issues to your order for £2.50 each – the discount will be deducted at check-out. Existing subscribers need to call AQUILA for this discount. We normally dispatch your first issue within 48 hours unless otherwise stated. Once the subscription is running your magazines should arrive in the first week of each month. 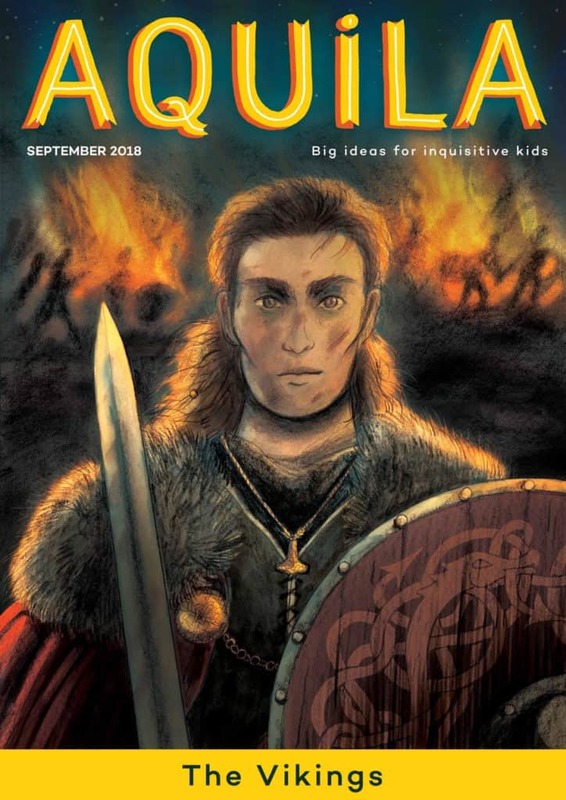 How is AQUILA different from other children’s magazines? AQUILA is created and owned by an independent UK company. 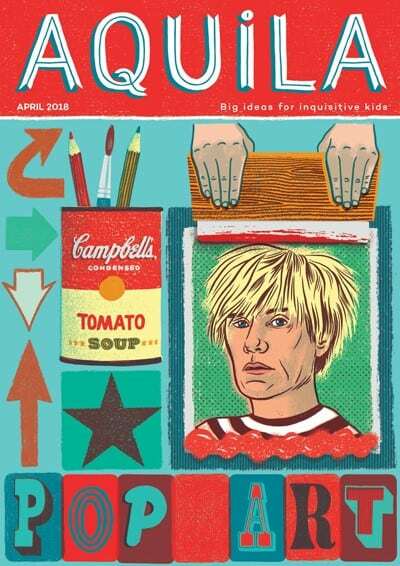 It has 28 pages, printed on high-quality paper and there are no adverts, posters or promotions: instead it is full of witty, well-written articles, thought-provoking ideas and great contemporary artwork. 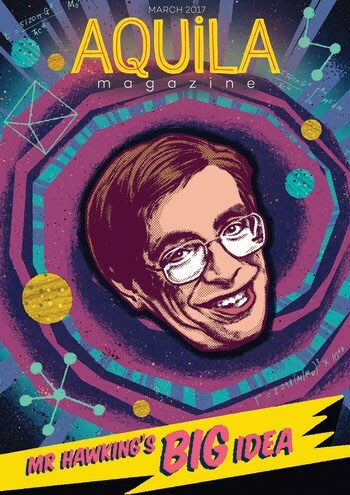 Each monthly issue is centred around a new topic, and the reading level is suitable for 8 – 80 years. 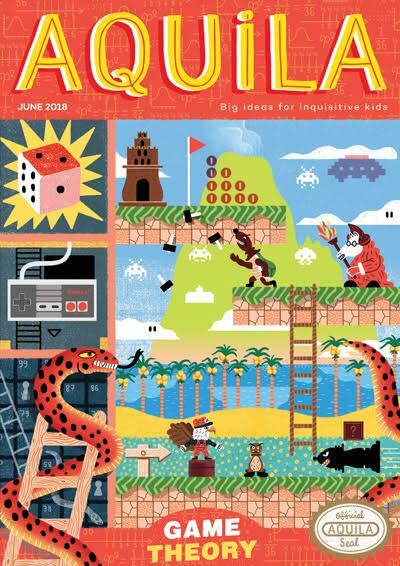 Is AQUILA an educational magazine? 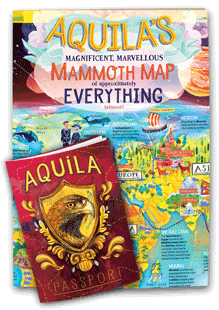 AQUILA works as a superb learning extension to current primary (or KS2 and KS3) curriculum, but it is much more than that! 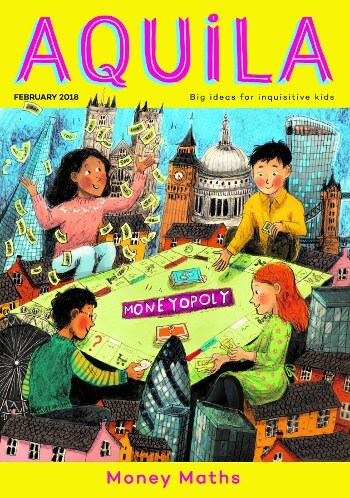 Entertaining, eccentric and always surprising, AQUILA is recommended because it widens children’s interest and understanding, rather than encouraging them to concentrate exclusively on their favourite subjects. At AQUILA we are aware of the negative effects of testing and hot-housing bright children. Instead AQUILA gives them a well-rounded understanding of the world, in all its complexity. I have a really bright 7 year old - are they too young? The concepts in AQUILA can be challenging, requiring good comprehension and reading skills. 8 years is usually a good age to start, but we have younger subscribers who really enjoy the magazine. Some gentle interest from an adult is often helpful at the start. Is AQUILA suitable for both boys and girls? Absolutely – it is our intention to encourage children to consider new and different ideas. We sometimes are amused when we hear ‘it’s best for boys’ or ‘girls like it best’ – although it is clear that girls are more inclined to write to us than boys! How many magazines will I receive? An annual subscription consists of 12 monthly issues, but July and August issues come together as a double-sized magazine. This is so that children can take it away with them on holiday, or enjoy that extra bit of summer reading if staying at home. Schools can also make the most of both issues before they pack up for the summer holidays. What if they do not like AQUILA? We will issue a full refund if you let us know within 28 days of receiving your first magazine. However, each monthly topic of AQUILA is different and we recommend that you try three magazines before you come to a decision. If you then still wish to cancel, we will still issue a refund for the remaining issues, minus a charge of £5 admin fee.